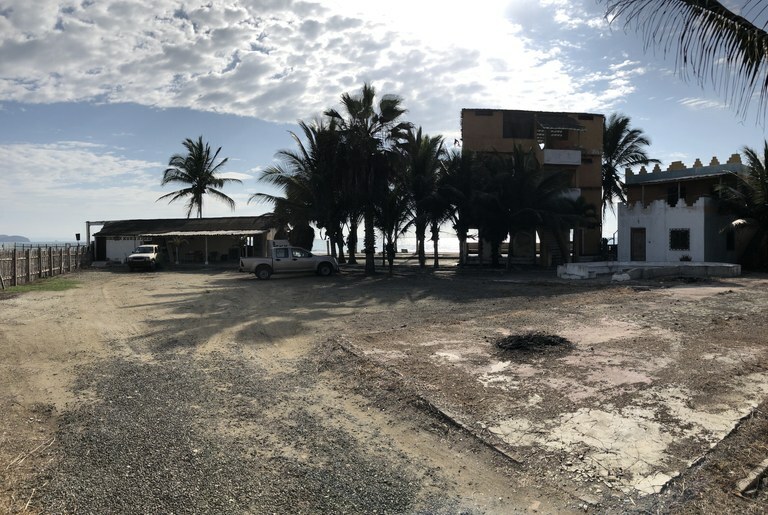 The owner of a large 7,800 m2 Oceanfront property, formerly housing a multi-building, 51-room resort hostel (now gutted and awaiting demolition) is willing to sell all. 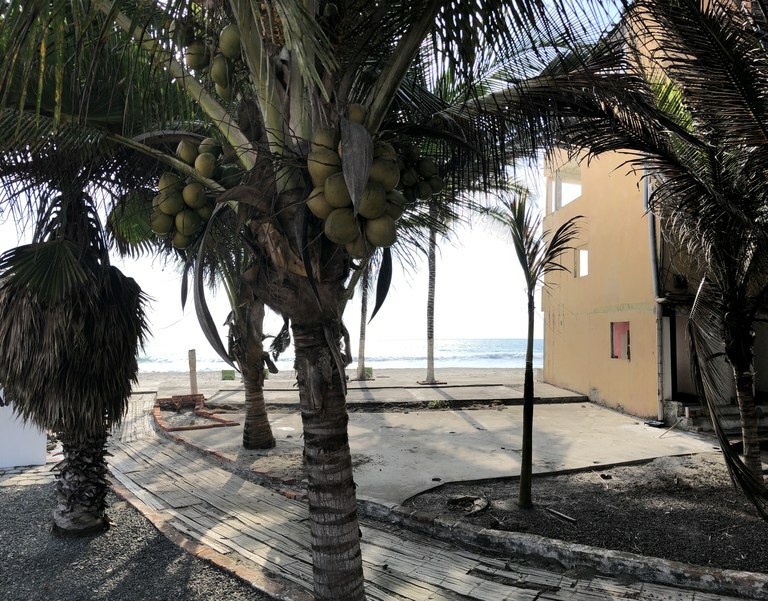 Included in the sale is the preliminary project plans for building two 30 unit condominium towers in a resort-type setting, complete with tri-circle pool, tennis court, and beach bar & grill. Alternatively, the owner prefers a half sale and a more desirable 50/50 partnership in the land and project. 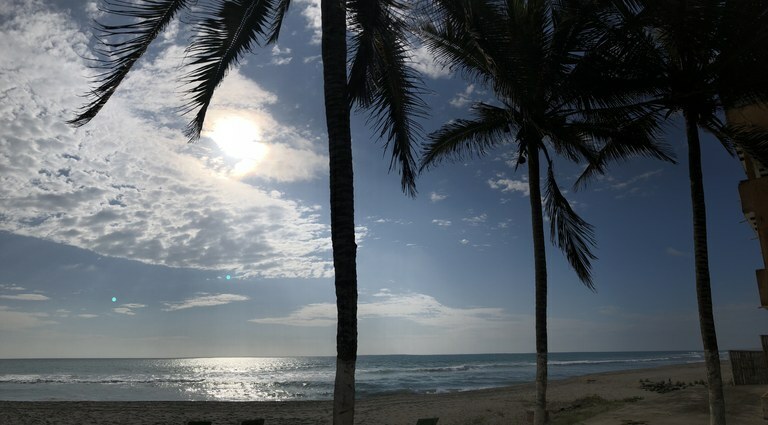 The property dimensions are 50 meters of oceanfront on one of the most beautiful beaches in Ecuador, 50 meters of highway access on the new Spondylus highway, and 156 meters on the north and south sides. 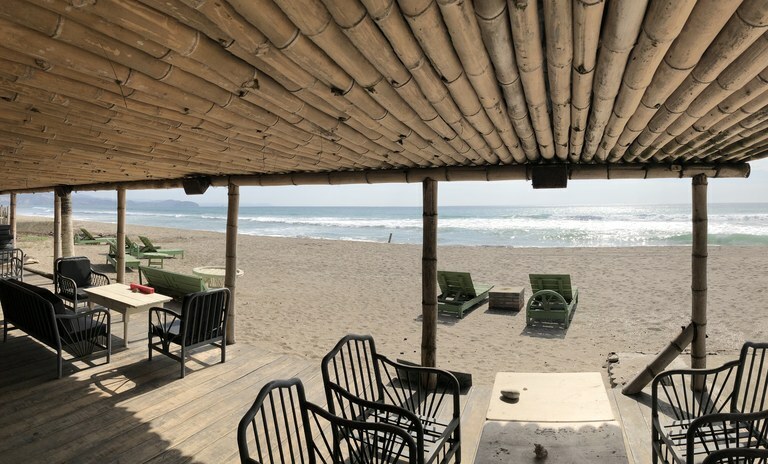 Located only 5 km north of the quiet village of Puerto Cayo, Ecuador. This propery is also part of Booby's Bar, a fully functioning bar / restaurant on the property. Could be kept up and running, or not. Visit the Facebook site: Booby's Beach Bar & Grill. Asking price for the entire property and plans is $649,000. 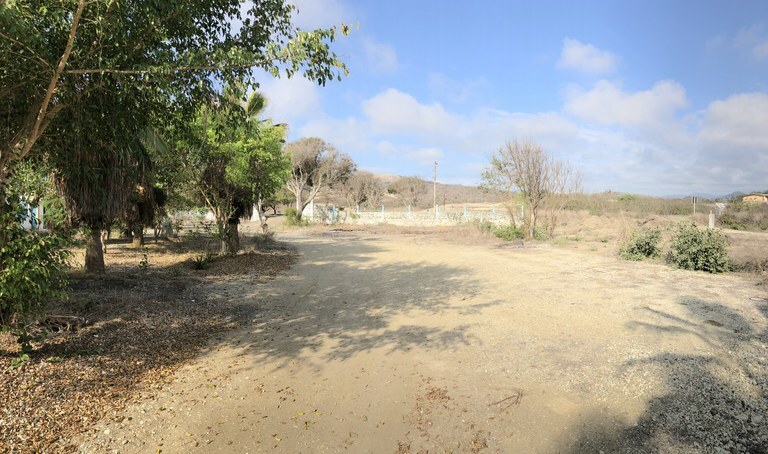 Half the property and project can be had for $375,000.